This album is the reason the violin is my favorite instrument. 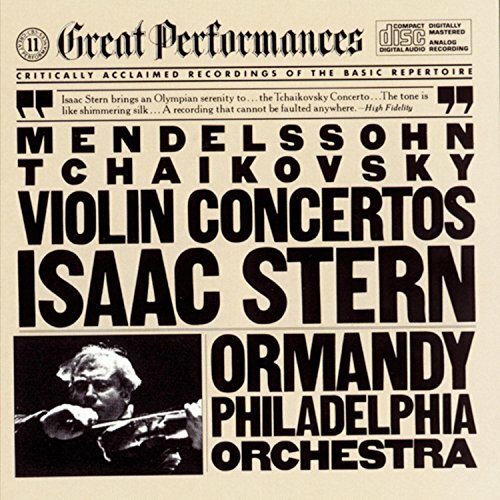 My mom had it on vinyl when I was growing up (her album actually had two other violin concertos in addition to these two, but the Mendelssohn and Tchaikovsky were my favorites). Isaac Stern’s performance of both is brilliant – both technically correct and passionate. I’d be hard pressed to choose which I love more.